The cost of the SAT exam for the 2018-19 academic year is $47.5 for the basic exam and $64.50 for the SAT with Essay. However, there are lots of other services and fees associated with the exam, so it is not unusual for college applicants to spend well over $100 on the SAT. As you can see in the scenarios below, students applying to highly selective colleges often end up spending $300 or more on SAT exams. The table below presents the SAT services offered by the College Board along with their costs and fee waiver eligibility. If you are are a student living somewhere other than the United States, you'll have an additional fee depending on where in the world you live. All other SAT costs are the same as above. How Much Does the SAT Really Cost? Your true cost for the SAT will obviously depend upon which services you choose, how many schools you are applying to, and how many times you take the exam. Scenario 1: Julia is applying to seven universities, a fairly typical number of schools for students applying to selective schools. None of her chosen schools require the SAT Writing Exam or SAT Subject Tests. Like many applicants, she took the exam once in the spring of her junior year and again in the fall of her senior year. Julia's cost at current rates would include two exams (at $47.50 each) and three score reports above the first four that are free (at $12 each). Julia's Total SAT Cost: $131. Scenario 2: Carlos is an ambitious student applying to some of the country's top universities. To increase his chances of getting an acceptance letter at one of these selective schools, he is applying to 10 institutions. Some of his chosen universities require both the SAT Writiing Exam and SAT Subject Tests. He chose to take the U.S. History and Biology-M on one test date, and Literature and Mathematics Level 2 on another test date. Like Julia, Carlos also took the regular SAT exam twice. 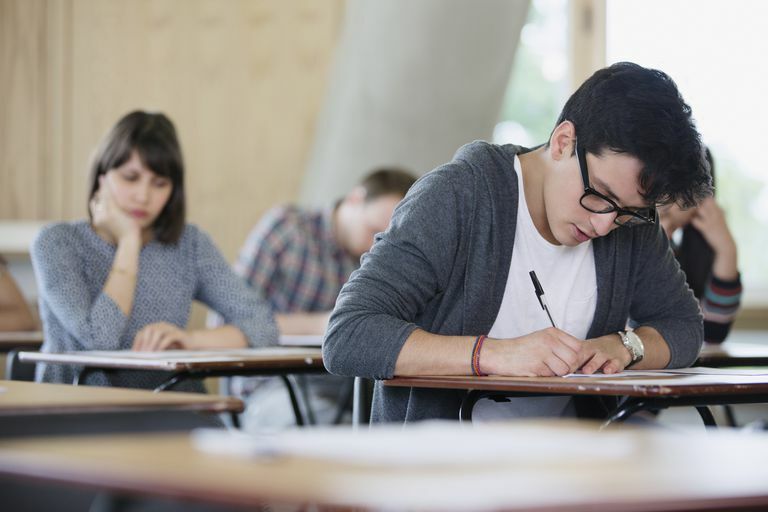 His total cost will be two SAT with Essay exams (at $64.5 each), four SAT Subject Tests (at $22 each), two Subject Test registrations (at $26), and six additional score reports (at $12 each). Carlos's Total SAT Cost: $339. You can see how your sat costs can get high pretty quickly. Carlos's situation is not at all uncommon for students applying to selective schools, and many applicants take the exam more than twice. Many applicants also choose to take both the ACT and SAT, and high achieving students will also have numerous AP exams. ACT costs are comparable to the SAT general exam. College is obviously expensive, but the costs begin before a student ever sets foot on campus. It is not unusual for students applying to top-tier colleges and universities to spend close to $1000 on standardized testing by the end of the admissions process. When you add to that number the cost of application fees and travel costs when visiting colleges, you can see how budgeting for college is a process that needs to consider the application process, not just the cost of college itself. How Do I Get SAT Fees Waived? The good news is that the College Board recognizes that the cost of the exams can be a true hardship for low-income students. The registration fees, exam costs, and score reports for both the SAT and SAT Subject Tests can be waived if you meet certain income eligibility requirements. If your family receives public assistance, you are eligible for the National School Lunch Program, you live in a foster home, or your family income is below a specified level, you can qualify for a fee waiver. Learn all the details for eligibility on the College Board website. If you don't qualify for waivers from the College Board but can't afford the fees, you should also check with your high school. Some schools have budgets to assist students with standardized testing costs.